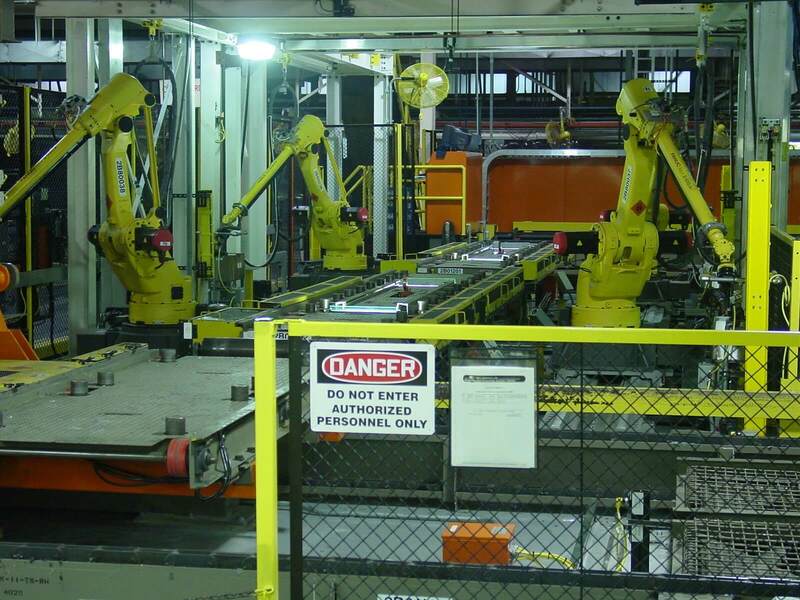 Alltech Engineering was hired by both FANUC and Encore Automation to install all new paint and sealer robots in Chrysler’s Sterling Heights North, Sterling Heights South, Belvedere, Toledo North, and Jefferson North Assembly Plants. 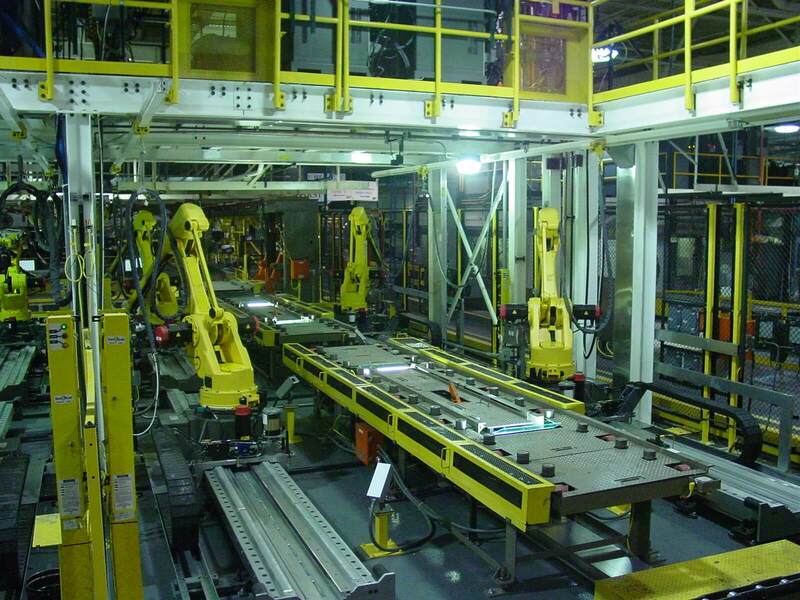 FANUC contracted Alltech to install the base coat and clear coat paint robots, and Encore Automation contracted Alltech to install sealer and powder prime robots. 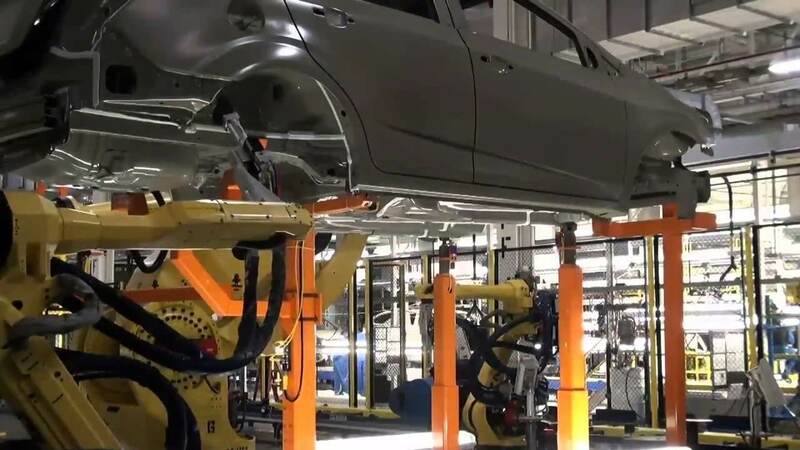 These projects were completed as part of Chrysler’s retooling of their truck and SUV plants. The scope of work for Alltech on these projects included re-engineering of the existing support steel robot columns, design and fabrication of custom transport and rigging systems, removal of existing automation, fabrication and installation of new support steel, installation of the new FANUC robots, and rebuilding of the existing paint and sealer robots. 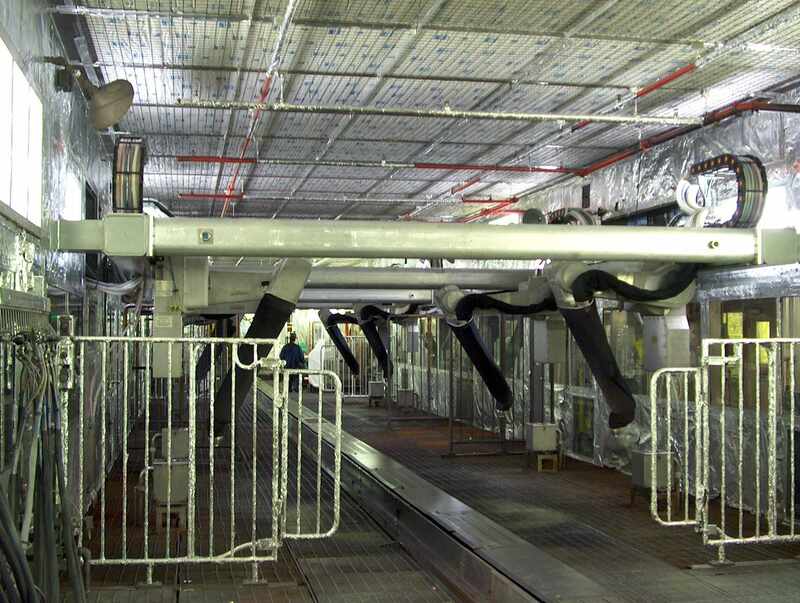 At the Belvedere plant, our scope grew late in the project to include all fabrication and installation of the paint booth steel modifications. 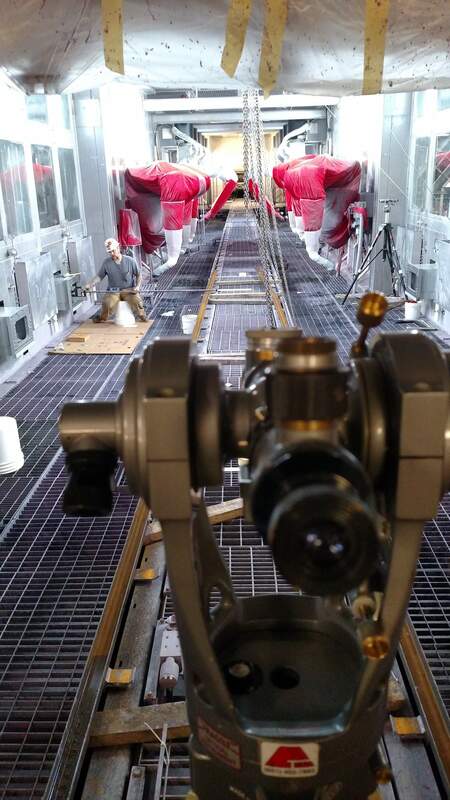 Alltech successfully completed this extremely fast track scope addition as required to avoid delays to production.